Many of us struggle to find enough time to clean our homes properly. However, a thorough cleaning is essential in order to create an attractive and hygienic environment for you and your loved ones. For those with family commitments or full-time jobs, finding time to do a proper clean can be a challenge, but there are ways in which you can make it easier. By following a few tips, you can benefit from being more organised, and this will make far lighter work of your cleaning tasks. Even if you work on a full-time basis, you will find that these tips help to make cleaning your home far more manageable and can help to speed things up for you. In an ideal world, it would be great to use a house cleaning service to keep your property spotless and looking great. However, if you have to do the cleaning yourself, you naturally want to get it done as quickly and conveniently as possible. One of the things you should do in order to speed things up is to create a cleaning caddy. You can put all the essentials in here such as furniture polish, glass cleaner, upholstery spray, carpet freshener, and anything else you use during your cleaning. You can also put your dusters, cloths, and cleaning gloves into the caddy. By doing this, you will know where everything is when you are ready to clean. In addition, you will be able to carry the caddy from room to room with total convenience. You should also invest in a good handheld vacuum, as this is something that will enable you to clean up difficult areas with far greater ease. For instance, if you have stairs in your home, you can use the handheld vacuum to clean them rather than having to lug the larger vacuum around each time you clean. This is ideal to save you time as well as to speed things up. You can use the bigger vacuum once a month, but the handheld is ideal for cleaning areas that are always in use between big cleans. In addition to this, you should aim to do a light clean every day if possible, for around 20 minutes or so, as this will save you a huge amount of time in the long run. If you just let everything pile up for a week at a time, you will be left with a mammoth cleaning task to tackle. In addition, you will be left sitting around in an environment that is not the healthiest. So, aim to do a light daily clean rather than a huge weekly one, as this will be far less stressful and tiring. 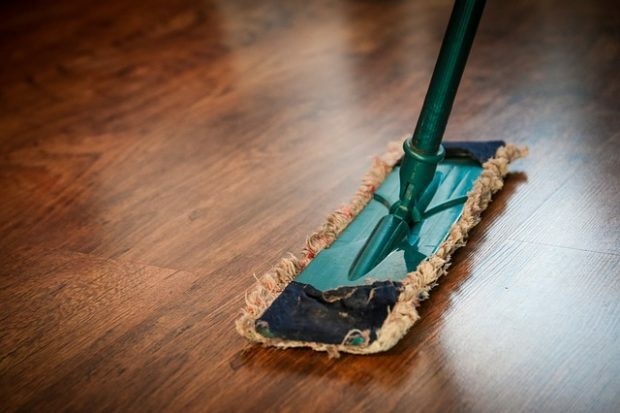 By doing a regular clean around the house, you can keep your environment clean and healthy at all times. So, if you have unexpected visitors, you won’t have to worry about the state of your place. In addition, you can enjoy being in a much more pleasant environment without an accumulation of dust and dirt.